A couple of stories ago I wrote a few words on my best mates 2nd hand imported RF18 and its first trip up Hinchinbrook. Here is a picture of the RF18 as it came over with a couple of upgrades added being the I-pilot and big Hummingbird Sounder on the dash. Well he doesn't do things in a little way and he is a fanatical Rabbito's fan (South Sydney rugby leauge club)so decided a upgrade to the rig he imported over to Australia. First you need to support your clubs colours and add the clubs logo. Yes we do give him some stick about the Rabbits but teams are thick as blood round here. Then you got to match the new tow rig to your team colours to set it off and his new Ford Ranger is a treat and a awesome colour matching tow rig. As you can see he added some bits to the trailer to protect the new paint work and the complete rig looks awesome and turns heads where ever he goes. Ramcon had the two small front hatches re-fibregl***ed into eskys due to the heat over here (gotta keep the beers cold), and she is now a full on Australian Fishing Weapon. 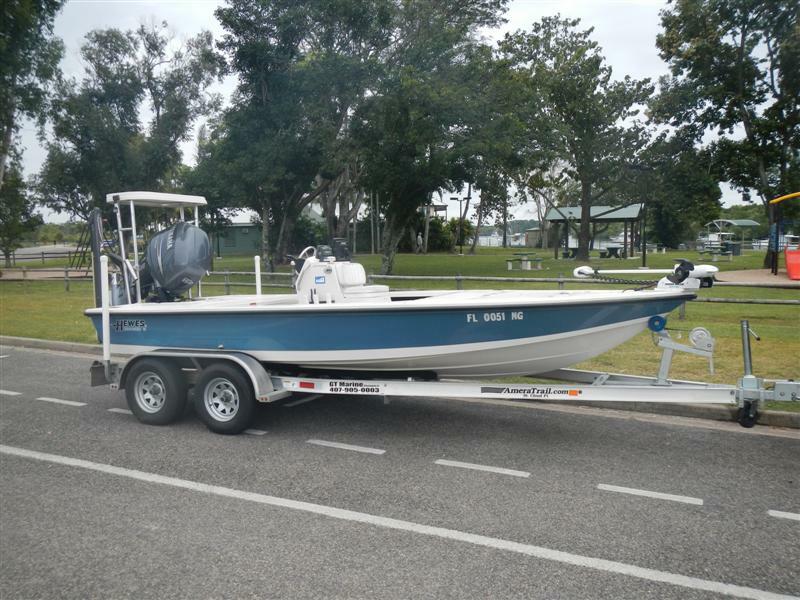 Me n the boys call it "Run Rabbit Run" after his team to lay some trash talk on him but Team Rabbit is an impressive rig that you certainly don't miss when it is running the Hinchinbrook channel and local creeks. It's out there waz but I like it. Will keep my eyes peeled for it around town! !